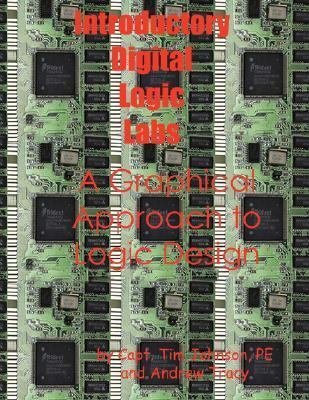 Associate Professor Tim Johnson and Andrew Tracy, a junior in the computer engineering technology program, of Wentworth Institute of Technology, have published a new lab book for students taking introductory logic classes that introduce the graphical features of Altera¿s Quartus II software for digital circuit design for system-on-a-programmable-chip (SOPC). Students learn the basics of design flow: Design Entry, Synthesis, Place and Routing, Simulation, Timing Analysis, JTAG programming, and Configuration. Each lab has increased complexity and builds upon previous learning. These skills will be useful in today¿s industrial environment where intellectual property is but a mouse click away. Students at Wentworth use the UP-1 evaluation board to test their design on the 25-megahertz EPM7128SLC84-7 chip by Altera. This lab book puts into the student's a powerful design tool. Once the basic design procedure is learned, every design becomes the stepping stone for the next design. VHDL text can be integrated easily into their designs and they can mix and match styles once they understand the design process.Johnson, Tim is the author of 'Introductory Digital Logic Labs: A Graphical Approach to Logic Design', published 2007 under ISBN 9780972172646 and ISBN 0972172645. Loading marketplace prices 107 copies from $21.90 How does the rental process work?